Cover links to Amazon.com Travel the world with the Children of Fire. Sometimes great things are thrust upon a girl. Sara wishes hers didn’t include a new name, unicorns, and fire. 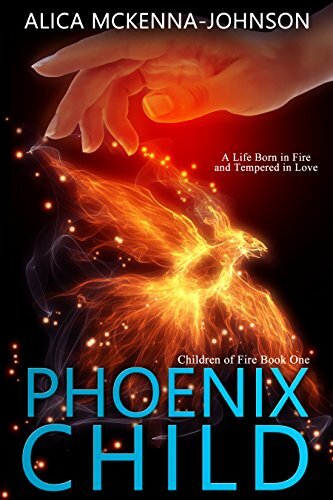 As Sara struggles with powers that overwhelm her, she must decide whether to turn her back on this new life or embrace her identity as Sapphire the Phoenix Child. The lives of hundreds of magical creatures rest on her decision. There should be a law, a Universal Rule, as to how much weirdness can happen to a person. Fifteen-year-old Sara walks into the San Francisco Center for the Circus Arts determined to ignore the freaky things happening to her. As powers she doesn't want and can't control overwhelm her, Sara must decide if she can trust the strangers who say they are her family ... descended from a common ancestor four thousand years ago. Sara clings to her contented and well-planned life as a foster kid, successfully working the system, as dreams, powers, and magical creatures drag her towards her destiny. When the ancient evil that killed her parents comes to San Francisco, Sara is forced to choose between her fears and her desire to protect those she loves. Sometimes great things are thrust upon us. Sara wishes this supposed 'greatness' didn't include a new name, unicorns, and catching on fire.